Back for another pair of cards with Bible verses as the centerpiece. 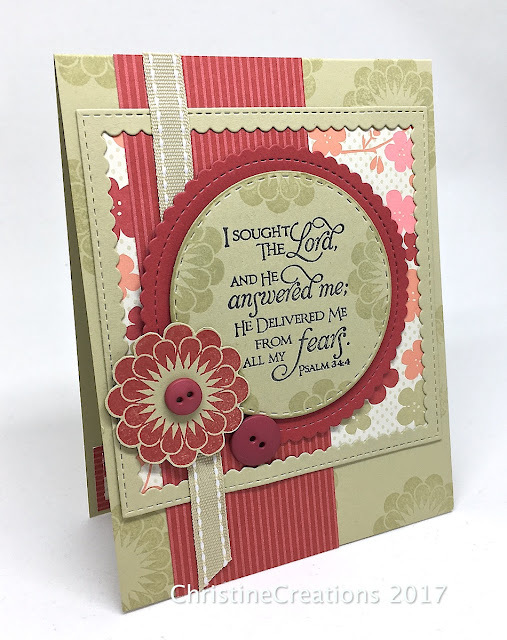 This design uses Verve’s set Scripture Medley 2, and I think it its a verse of encouragment and challenge all rolled into one. 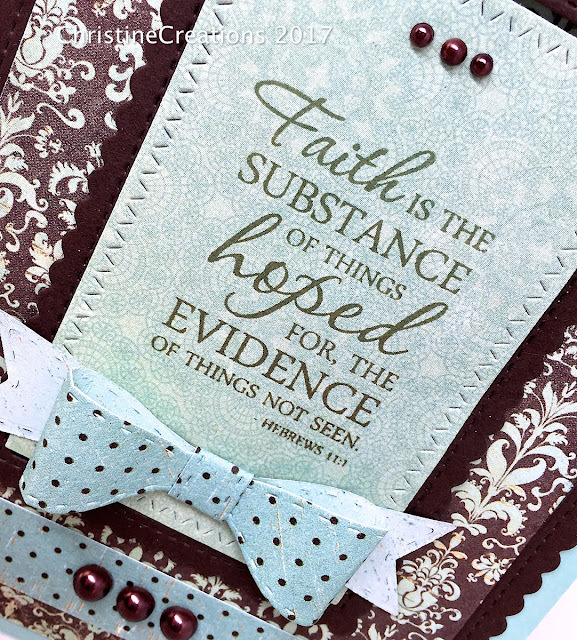 Faith has substance and is a future hope, and yet we don’t see it yet....so that’s the challenge! 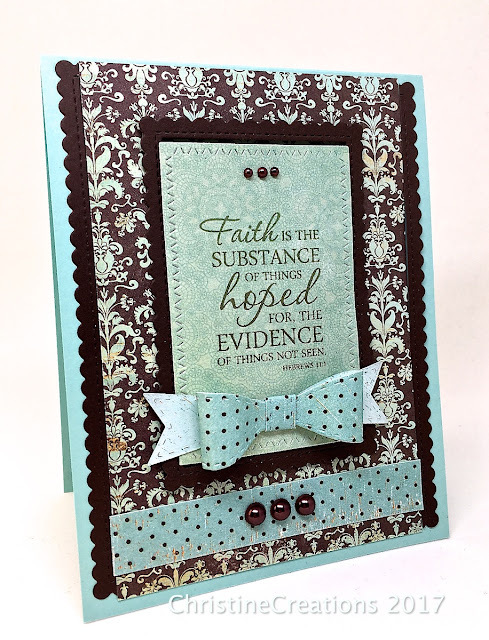 I combined some lovely damask and dotted papers as well as accenting with MFT’s Stitched Mini Scallop Rectangle dies, Zig Zag Stitched Rectangles, and then the pretty bow is from The Cat’s Pajamas Easy Stitched Bow CutUps die. A few pretty pearls finish it off. Who doesn’t have days where fear creeps in and bullies us around? This verse is such a good encouraging reminder of what to do. This next design uses a couple of sets, the verse is from Our Daily Bread Designs’ set, Scripture Series 1 and the background and accent flowers are stamped with Verve’s Dream Big (which I have on sale right now on my SALE PAGE if you’re interested). I thougth the blossoms in the Verve set went well with these papers from Stampin’ Up from many years ago. Including that stitched ribbon and the buttons too. A couple of the dies are from MFT, Stitched Square Scalloped Frames, and Stitched Mini Scallop Circle, and I believe the regular stitched circle die is from Simon Says Stamps. That’s it for today, thanks for stopping by and I’ll see you tomorrow with something HOT from Power Poppy! Great verses on each, love the paper and the bow in the first and such a pretty design on the second, that flower works perfectly with that paper!